Seaplanes lifting off from San Diego bay were once a common sight. Many remember car-carrying ferryboats slowing to a crawl to allow a bulky, gravity-defying PBY to pass – groaning under full power to obtain lift off as it drove into the wind. Now, more than 30 years later, the seaplanes are back. Well, at least one seaplane. San Diego Seaplanes is operating out of Coronado, offering a variety of packages to their customers. The little plane can be frequently seen along the Coronado Golf Course beach, just south of the bridge. Here customers eager to experience a seaplane flight step off the beach and climb aboard one of the pontoons in preparation for aerial, barnstorming adventure. The business is owned and operated by Michael Steel. His seaplane tours of the San Diego coast are packaged in between a thrilling takeoff and landing from the water. Flight options are available in 20, 30, and 60-minute packages. Guests are treated to a bird’s eye view of the Hotel del Coronado, the Coronado Bridge, or spectacular coastal overviews of La Jolla, Sunset Cliffs and Point Loma. “No runway, no problem,” says Steel, who has been flying seaplanes for more than 30 years and obtained his solo Pilot’s Certificate at the age of 16. He can maneuver his aircraft up to the beach, to your dock (such as at the Coronado Cays), to your yacht club, or even alongside an anchored boat in the bay. “Currently we are the only seaplane operation in Southern California,” said Steel. “I figure we’ve conducted more than 800 water takeoffs and landings in the last six months alone.” His plane can carry six passengers at a time. Charter prices are extremely affordable and the seaplane is available seven days a week by appointment. Steel has provided pilots and seaplanes for numerous Hollywood movies and TV productions. He has personally worked for Universal Studios, Fox Studios, HBO, Disney TV and the BBC, among others. He designed, built and flew the seaplane for “Waterworld,” a film starring Kevin Costner, and more recently flew a replica of the 100-year-old A-1 Triad seaplane for the 2012 US Navy celebration of a Century of Naval Aviation. In fact, the actual birthplace of naval aviation took place in the Spanish Bight, a waterway that once separated North and South Coronado Island – an area Steel flies his passengers over every day. The history of his profession is not lost on him, nor on his passengers. Currently whale watching along our coastline is the most popular option, but other choices include a kayak/flight experience, sunset flights, romantic beach picnics, birthday flights and corporate events, and even honeymoon or full moon flights. The entrepreneurial Steel is already building sponsorship packages to expand his seaplane business to Los Angeles (Catalina) and Hawaii. For Steel it’s a family affair. 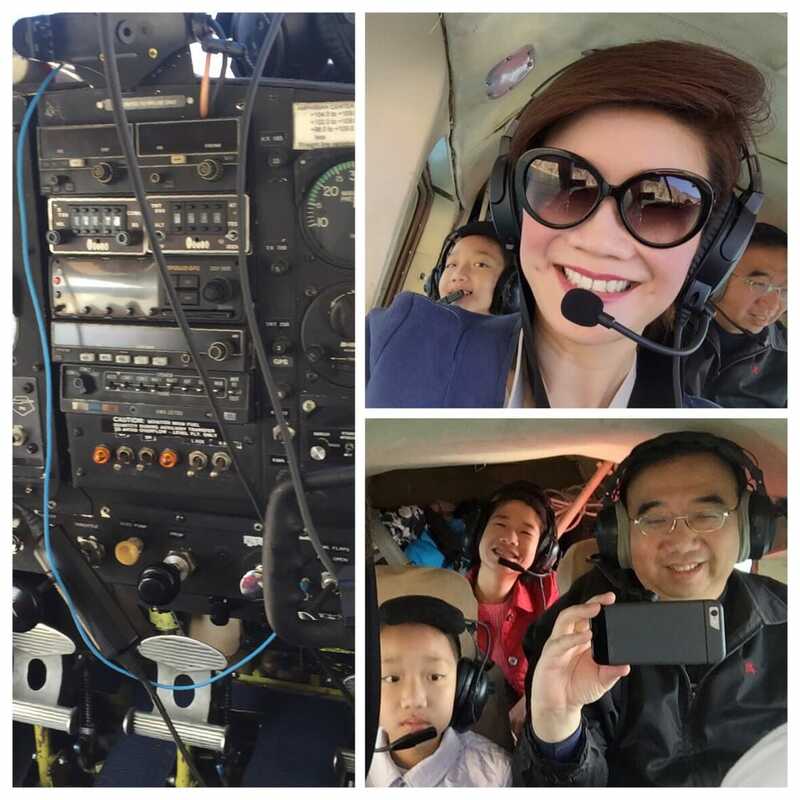 His wife Andrea runs the office, and frequently one or all of their five children are involved in one project or another concerning the business, even if it’s just keeping the windshield clean on the seaplane. On Coronado itself, Steel’s mother, Sue Steel, can be seen standing on the lawn near her condo at Centennial Park waving at him as he flies over. What a great flight to Catalina! This is 15 minutes from Los Angeles? YES! Is it Hawaii? Bora-Bora? No – it’s Catalina Island!